Not long ago we discussed the global journey of credential clothing, talking about how garments begin in a factory in one part of the world, make their initial journey of distribution to a different region, live their first lives before moving onto a new iteration in likely yet another country. Today we’re going to focus on the specific journeys that our wholesale used credential clothing takes on its way from donation bin to being worn again. Remember that “Wholesale Used ‘Credential’ Clothing” refers to clothing that has been donated and is transferred in its existing packaging, bags, etc. It has not ben sorted. Why is that good, you might ask? Well that means that the items haven’t been picked over. The bags & parcels could contain all kinds of gems, from quality used clothing, shoes, belts, purses, even jewelry. Fans of the TV show Storage Wars will have a good idea of what we’re talking about here. It’s the concept of gambling on a lot, not quite knowing what could be inside, but having a pretty good idea that, over time, the lots have value. 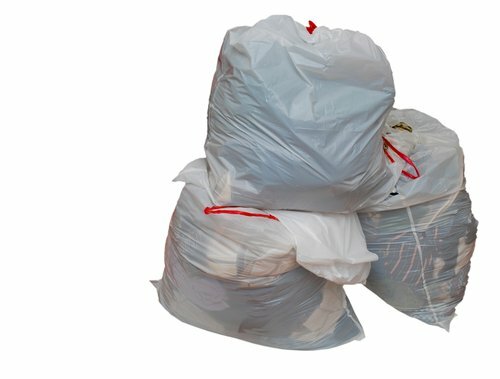 These bags are packed into bales, essentially pressed or tied into large bundles that better facilitate transportation of the items as large lots. 100-pound bales are fairly common, but they can come in different sizes. The bales are then put into loads – 53-foot trailer loads of used clothing for the North American market; as well as 40-foot high ocean container loads for export. 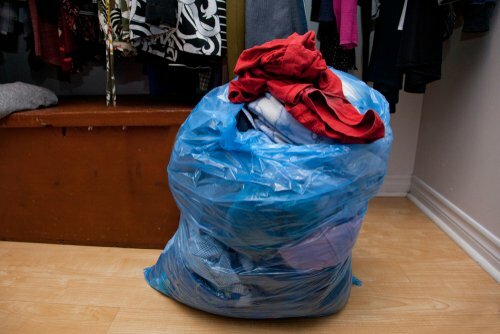 Loose credential clothing loads are typically a combined total weight of 25000-30000 pounds, while baled loads (more stable) can run to the 40000-pound range. Where the loaded bales go from there can take a few different paths. There are buyers of used wholesale clothing in the North American. 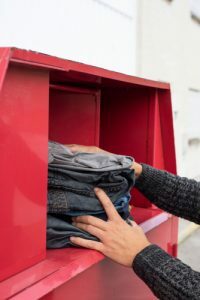 Credential clothing can be shipped within North America, either in truckloads or even (if the customer arranges all transport/logistics) by the bale. Truckloads commonly take a few days or over a week, depending where in the US or Canada the shipment is headed. Cargo ships are a common mode of transport for credential clothing making its journey across the world. 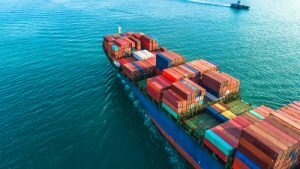 Shipping time varies from a couple of weeks on a freighter to Central America, 3-4 weeks to South America or Europe, or 4-6 weeks to Asia or Africa. Buying or Selling Wholesale Used Credential Clothing? Count on Bank & Vogue! As a top-tier buyer, seller and logistical facilitator of wholesale used clothing, Bank & Vogue is your best choice when it comes to credential clothing. We’ve got decades of experience in the wholesale used clothing business, having established a wide and strong network of suppliers, vendors and partners across the world. Contact us today and get started on your next order or shipment of used credential clothing.